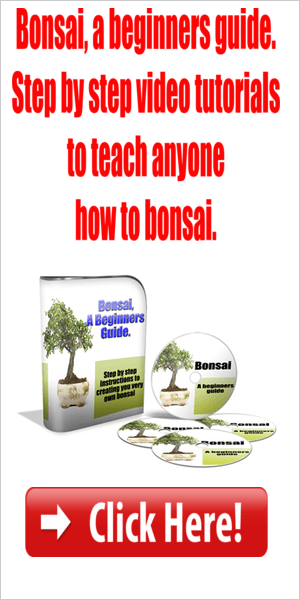 How to Bonsai -Learn how to bonsai Japanese style trees. Growing bonsai and learning how to bonsai has many wonderful benefits, learning how to go about caring and training your trees properly, keeping them alive and healthy for many years, is all part of a satisfying on-going challenge! 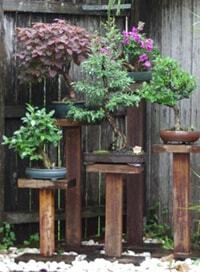 With urban expansion, yard sizes and gardens having to be kept at a minimum, growing bonsai can be a great alternative. Several trees set out in a courtyard evokes the feeling of calmness and tranquility, while pruning and shaping your little trees, can sometimes almost put you in a meditative state, as you lock out the outside world and focus purely on creating a living art form! Keeping nature close to us is an important part of life and bonsai can be the answer! I have created this bonsai website for the enjoyment of enthusiasts world wide. As I improve this site it will be the home for all things that are related to these beautiful little trees, from top resources, galleries and top range products for the beginner to the advanced enthusiast! I have added other resources I own and use as references, I highly recommend them if you are after top quality material to learn from, or to have as your own source of reference. From books with great pictures, to invaluable information on creating the ultimate tree and how to care for it correctly, these are the best books I have found. I have started to add care instructions for the most popular tree varieties of and those that we grow specifically for bonsai at the nursery. Varieties such as Juniper, Ficus, Elm and other common species will be covered in time, but please contact me should you wish to find out about a specific variety sooner. Contact me should you have any suggestions of content or bonsai related products you would like me to look into and add to this site! So many problems can be caused by not using the right tools for the job, if you are using inferior quality tools, or just using them wrong, you can cause irrepairable damage to your trees. You only need the basics to begin with, and I show these tools here. Over time I will add growing tips and information on different trees, styles and methods of producing top quality trees. I never seem to stop learning, the longer I have been growing trees, the more there seems to be to know. 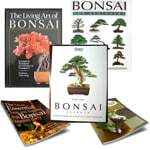 Finding good information about how to bonsai, has been something that I have always struggled to find in one place, I have spent many years researching, asking local and international experts, and gaining knowledge through experiencing for myself the best ways to grow and create beautiful Japanese style trees. After teaching the art for some years I decided to put together an online course that takes you through the same steps as one of my weekend courses. 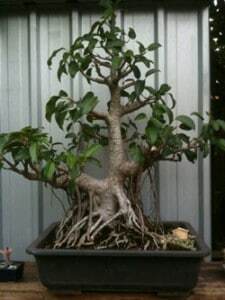 Disclaimer: All information on this website is based entirely on my 20 years of experience growing bonsai on the Northern New South and South East Queensland coasts of Australia. Results may vary when some varieties are grown in other locations or condition. Every effort to ensure the accuracy of my observations is taken but I assume no responsibility for any error, omissions, inconsistencies or inaccuracies. 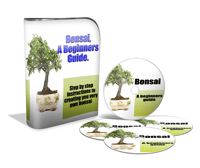 I, in no way consider myself to be an expert in this field but believe I can help to fill in the gap that I found to exist when searching for accurate and helpful information on Bonsai as a beginner up until now. I, like a Bonsai that is refined over years hope that my knowledge on the subject is and will continue to be refined and you will allow me to share that journey and knowledge with you!